Why do tax audits occur? The Internal Revenue Service and/or your State Department of Taxation can choose to review your income tax return for accuracy if it believes some or all of your return is incorrect. This process is generally referred to as a tax audit. Although many people fear the audit, it does not necessarily mean you have broken any tax laws. It also does not mean your return is definitely incorrect. It may mean you need audit representation from an NYC tax firm with experience managing the IRS, State & City authorities. Many times, an individual that is subject to an audit immediately assumes that they will need an attorney. 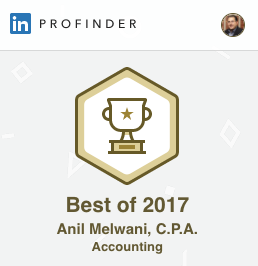 This is not always the case – in fact, many times a CPA is a great choice for audit representation and much more reasonably priced than a tax attorney. If you find yourself on the receiving end of an IRS, State, or NYC tax audit, the NYC accountants at 212 Tax can thoroughly analyze and defend your case, giving you the peace of mind you need to navigate the review process. Large, unusual, and suspicious items reported on a tax return increase the odds that the IRS will choose to analyze your return. If the IRS suspects that you or your return preparer made mistakes on your return, it may choose to audit. In general, the IRS searches for extra revenue by seeking individuals who underreport or fail to report – or who inflate deductions to reduce total tax owed. If the IRS flagged your return, these are the two most likely explanations. When you meet with 212 Tax for your initial consultation, you will need to bring all documents that pertain to your case. These include the notice or notices sent by the IRS, an accurate and complete copy of the return you submitted, and any supporting documentation. any other important tax documents that are relevant to the year being audited. It is important to share all information pertaining to the audited year in order to achieve the most favorable result. It is much better to hire an accountant to defend your case early in the audit process rather than wait until the IRS threatens to levy or collect on the tax debt it thinks you owe. You have rights during the tax audit process, and many taxpayers answer questions during IRS hearings they are not legally required to answer. At 212 Tax, our tax accountants will take the time to understand your background and story. We will thoroughly explain the audit process to you. Following our analysis, we will identify probable outcomes and recommend a strategy. If you get additional notices from the IRS, it is important to share those notices with 212 Tax immediately. Many notices highlight important deadlines, dates, and instructions. If you are worried about meeting an IRS officer face-to-face, the accountants at 212 Tax can handle it for you. In fact, we usually recommend that you cease contact with the IRS and allow us to defend your case for you. However, do not expect the audit to resolve itself in a few weeks – dealing with certain departments of the federal, state and local governments usually takes at least a couple months. If you have received a notice from the IRS or NY State regarding a tax audit, call 212 Tax to schedule a consultation. We have secured successful outcomes for many taxpayers that were audited.